THOUGHTSKOTO Thoughtskoto : Do female workers need "menstrual leave?" As a woman, it is part of our lives to have a menstrual period every month that sometimes, brings unbearable pain or cramps that causes us to be unproductive at work, or worse we do not report for work and choose to stay at home for a day or two. Because of this, a resolution has been passed and approved by the members of Sangguniang Panlalawigan (SP) in the province of Iloilo urging Congress to pass the “Period Policy”. The resolution said the policy will provide female workers additional 12 days of sick leave with pay every year. Iloilo Board Member Lorenz Defensor said it is time fo the Congress to recognize that the "rights of men and women are not equal." Defensor is known to be a firm women rights advocate in the province. In his resolution, he stated that monthly periods are a huge part of the life of a woman. Some may experience painful or heavy flow and during the period (of menstruation), most women experience psychological and physiological discomfort. 1. JAPAN - The country has had menstrual leave since just after World War II. According to the 1947 Labor Standards Law, any women suffering from painful periods or whose job might exacerbate period pain are allowed seirikyuuka (literally “physiological leave”). 2. TAIWAN - The 2013 amendment to the country’s Act of Gender Equality in Employment guarantees female workers three days of menstrual leave a year, in addition to the 30 days of half-paid sick leave allotted to all workers. 3. INDONESIA - Women in the workforce are entitled to have two days menstrual leave a month, though many companies simply ignore the law. 4. SOUTH KOREA - South Korean workers were granted menstrual leave in 2001, though an experiment in extending the policy to female university students was deemed a failure (“faculty members decided that the policy was being abused as an excuse for absence”). In 2013, a Russian lawmaker proposed a draft law that would give female workers two days off a month but did not prosper after the bill was condemned by a Russian feminist. 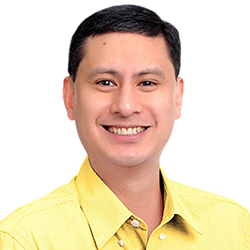 Act” while his son Rep. Narciso Santiago III of the Alliance for Rural Concerns files the same bill in Congress, but until now, the bill was not passed into a law. DH in Hong Kong? Remind Your Employer on "No Work on Rest Day Policy"